There’s a certain level of predictability when it comes to fall outfits. Booties, sweaters, jeans. Rinse. Repeat. But, what about turtlenecks? We know they can sometimes conjure up the misguided style of our grade school days, but they’re back (and cool) now, right? We say, “yes!” Don’t toss your turtlenecks just yet. And, keep reading to find out why. Slouchy sweaters are must-pair with jeans. So, why not a turtleneck? Slide into your favorite jeans and a slouchy turtleneck for the ultimate comfy weekend outfit. Going casual? Queue up your fall ankle booties and a distressed pair of boyfriend jeans. 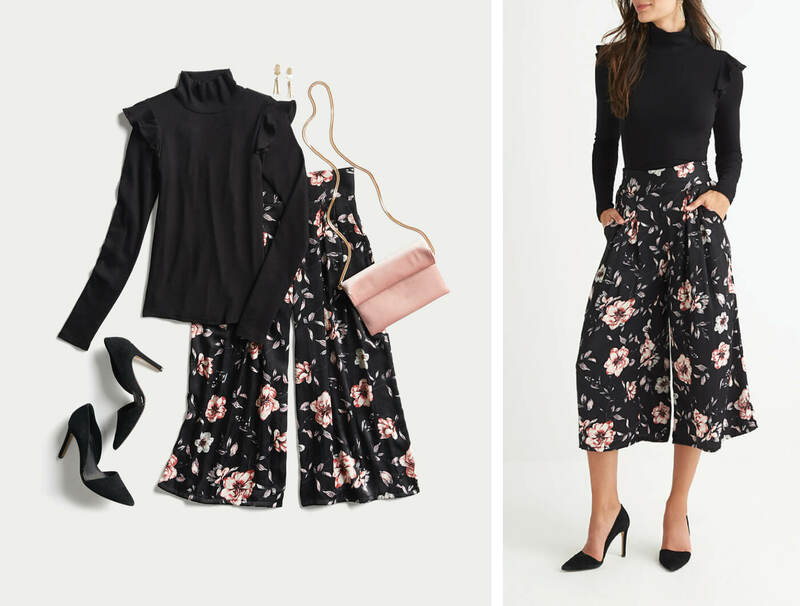 A floral, wide-leg pant might be outside your comfort zone, but paired with the likes of your #TBT turtleneck, you can most certainly pull them off. This look screams off-duty editor, best-dressed at the office or even a night out with the ladies. Don’t be so quick to toss this old stand-by aside. 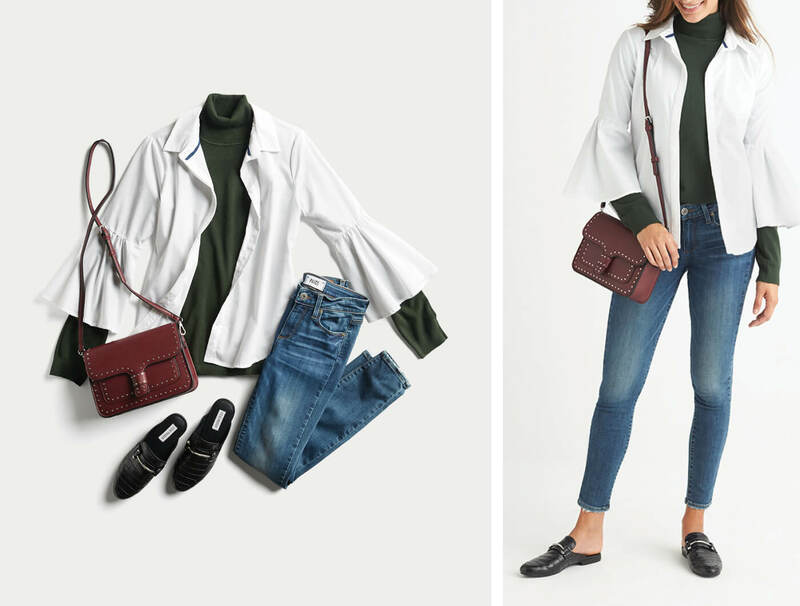 Whether you’re polishing up your work attire or getting cozy on the weekends, you certainly won’t be the only fashionista rocking a turtleneck this season. 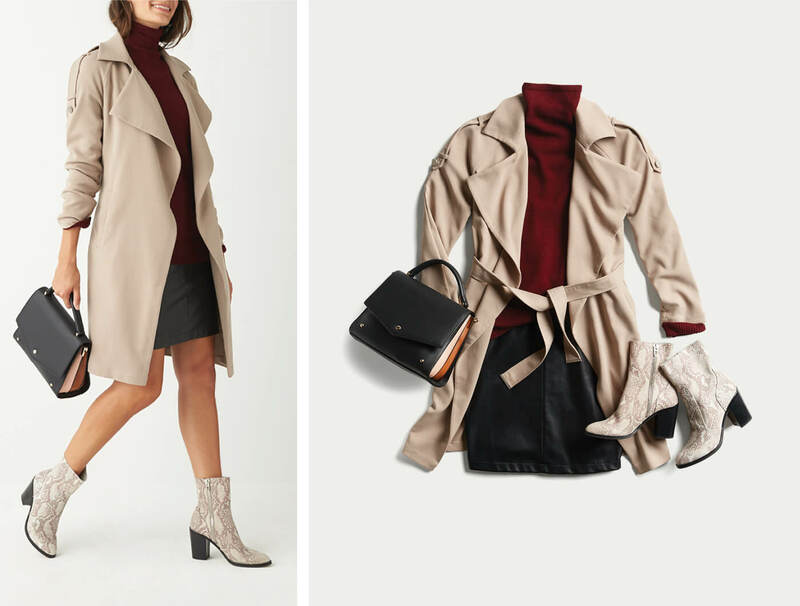 —Megan S. & Brittany M.
Will you style a turtleneck this season? Tell us!